A lot of people look for psychics regarding advice and guidance, especially when they feel that they are unsure, sad and vulnerable. Unfortunately, many individuals take advantage of this and offer false psychic advice in the hopes of making a quick bucks here and there. While psychic scams can rob you of your money, they do more than just that because they can also harm your spiritual and emotional well-being. This page lists down the most common types of psychic scams to look out for, and how you can tell if you are dealing with a scam or not. Before delving into different kinds of psychic scams, it is important to remember that there are legitimate and ethical mediums and psychics out there. These are individuals who have spent years practicing and developing their gifts in order to help other people. Today, we will not be talking about these people, but instead, of unethical readers who exploit their clients and fraudulent individuals who possess no gifts but claim to do so. Let’s take a look at some of the most common scams you would typically come across. Spells and bad luck curses are the oldest scams in the book, and have been done by “psychics” for centuries. This scam usually starts with the psychic telling you that they feel a dark presence or curse surrounding you. They may even do a vague reading and even fish out information, like people whom you think you may be at odds with. Then, they would usually proceed to telling you that this curse is the main reason why you have been having plenty of bad luck recently. Yeah, I did experience a string of bad luck lately, and this psychic is probably right! This is definitely a legitimate train of thought because we do experience bad luck from time to time, even without curses. Nevertheless, the psychic has already succeeded in making you feel frightened and insecure, and by now you want them to do something to lift the bad luck curse off. What they do next is to offer a cure to this negativity. They have charms, prayers and rituals that can lift off these spells and make sure that you are curse-free. Of course, this would require a hefty fee, which you might be willing to pay for right away. They may also sell some artifacts and objects that you could take home and insist that you come back for a second appointment to make sure that the curse is completely gone. It doesn’t stop there though. Sometimes during the succeeding appointments, they will tell you that the spell is still there, and eventually require more readings and more objects to take home. This can lead to hundreds of dollars spent on paying for sessions and purchasing objects like crystals and candles alone! There are many individuals who have lost thousands of dollars on scams like these. Energy work is great, and it is legitimate: we all love our share of reflexology, acupuncture and Reiki. These types of energy work are all legitimate, especially when they are done by legitimate practitioners. However, some fake psychics take advantage of people when they are at their most vulnerable, promising to heal them and make them 100% sickness-free by charging a hefty fee. Remember, it is unethical to guarantee a 100% cure and legitimate energy workers do not even do that. The second part of this scam is that they charge very outrageous fees for the promise of healing. 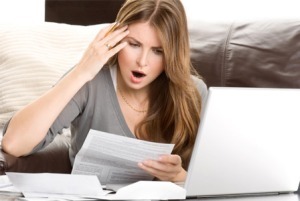 Energy workers put a price on each treatment for their time and expertise, but the rates are always reasonable. Email scams work two ways. You have a friend who secretly does not like you, but things will eventually become better soon. Today, it’s good to let go of your past because it is holding you back, and take time to embrace your future, because good things will surely come. Have you noticed how general and vague the information is? Because it is so general, most of the contents can apply to just about anyone. This means that you’ve actually paid this psychic to just send you a copy-paste of an email that he or she has probably sent to hundreds of other clients before you. The second type of email scam is known as the scary email message, where a psychic or medium reaches out to you with a message or an email, telling you that they have a very important message that you should know, oftentimes from a spirit of a beloved departed. This short message will often spark your attention and will leave you wanting more, but then you have to pay them to get the whole message. There are occasions when a real psychic or intuitive, especially someone you have already worked with before, will be moved enough to contact you with a message. Genuine ones will do so without any costs and will ask permission from you if you want to hear the message or not. Psychics, however, who rely on scare tactics and request payment for you to get your messages are scams and should be ignored. This is in connection to the first scam, which is when a psychic tells you that you have been cursed by someone. This scam, however, is the opposite of the first. This is when a fake psychic tells you that he can cast a spell to bring you good fortune or true love. He or she may claim to do things like helping you find your soul mate, making your ex love you back, getting you out of debt or helping you land a new job. A lot of people fall into this trap because con-artists are so good at letting people what they want to hear, and they seem to provide solutions to problems that are longstanding. To keep you at ease, they may also tell you that they are working with “white magic” which is safe and will hurt nobody. Don’t believe this. While the spells will definitely not work on anyone (and will not hurt anyone, too), this scam will definitely end up hurting one person: you. Not only will you be throwing your money away, it will also lead you to have your hopes up only to have it broken when the psychic tells you that they need to perform a stronger and more powerful spell. The simplest way to protect yourself from a psychic scam is to do your research ahead of time and choose a psychic or psychic medium that has a true, verifiable reputation for being authentic and reliable. 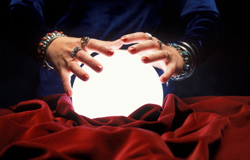 Avoid psychics that claim to be “the best” or “the top of their field”. These are catchphrases that are used to lure in people desperate for guidance, but unwilling to put in the time or energy to find a genuine professional. 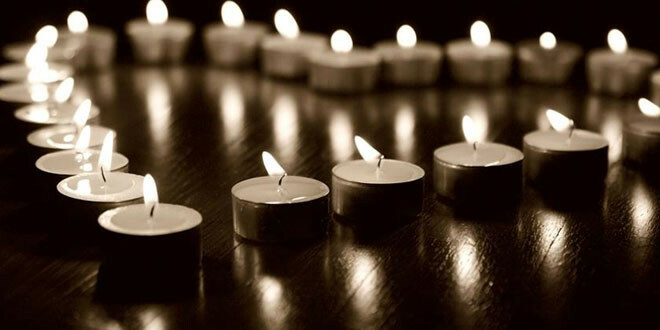 Get recommendations from friends or family members who have used the services of a psychic or specifically request references from professionals you are considering. For even further verification, don’t hesitate to check with the Better Business Bureau to see if there are any recorded complaints against the psychic. Saving money is something that most people try to do whenever possible. 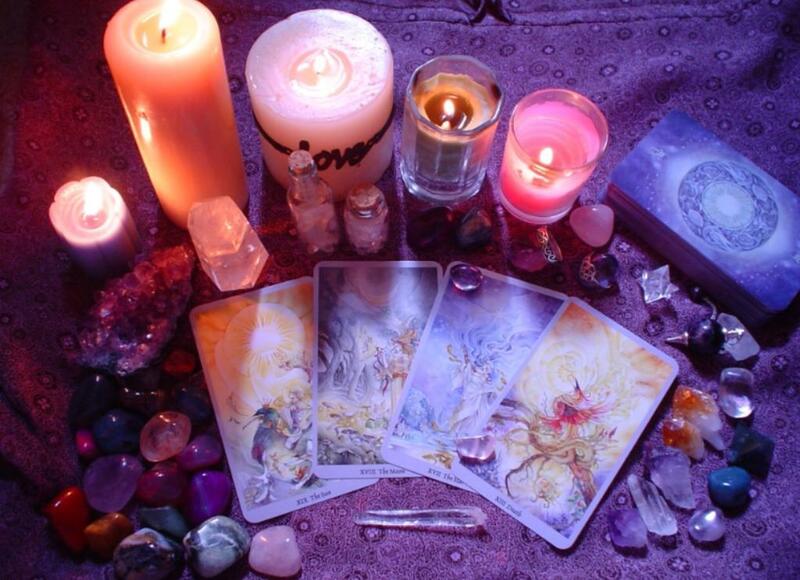 Choosing an extremely low-cost or “free” psychic reading, however, is the beginning of an emotionally draining and financially devastating scam. Immediate requests for large amounts of money are a red flag for almost anyone. An offer of free or highly affordable services, however, seems like the opposite of a scam. It is more difficult to see the deceit when you are being offered services with no expectation to pay. Be aware, however, that this free or low cost reading is the first step in a manipulation that could lead to costly consequences. In some ways, protecting yourself from a psychic scam is the same as protecting yourself from fraud in other situations. One of the key concepts is staying vigilant about what is going on around you and making wise decisions. Just as you would never share your social security number, bank account information, or other sensitive information with a doctor, mechanic, or other service provider, don’t share it with a psychic. Don’t let yourself be convinced that this will more closely connect them to you or that paying more gets you a better reading. If at any point you feel uncomfortable with what you are being asked to share or do, err on the side of caution and remove yourself from the situation. While there are genuine and gifted mediums and psychics around, they are also surrounded by con artists, frauds and unethical readers who care more about making money more than anything else. If you are looking for advice or enlightenment, make sure that you do so with care, you do not want to fall pray to these most common psychic scams today. Previous Do You Have An Angel Or A Spirit Guide?